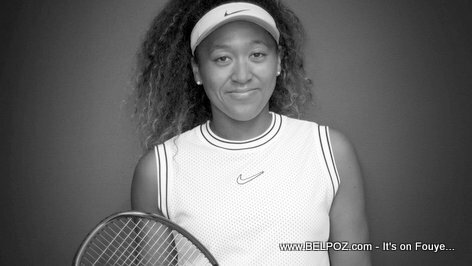 "We are thrilled to have her join our team," says Amy Montagne Nike's VP, GM of Global Categories. 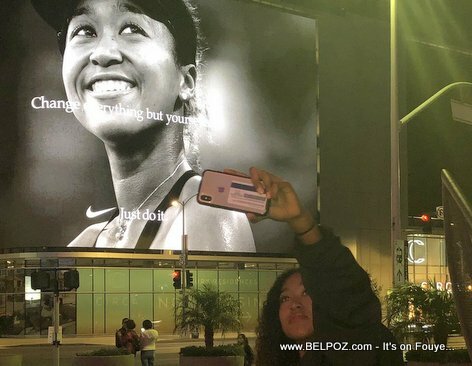 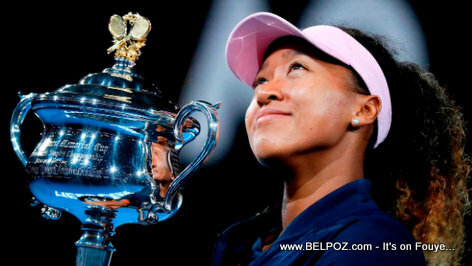 "I'm proud to become a member of the Nike family and excited about getting involved in all of the opportunities Nike has to offer," Naomi Osaka said. 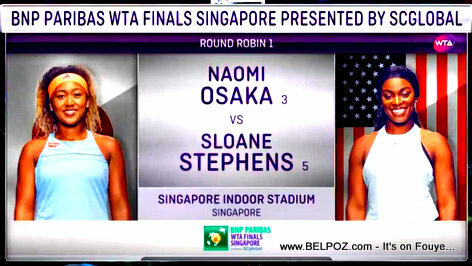 Day two of the WTA finals featured a matchup between US Open champion Naomi Osaka and 2017 winner Sloane Stephens. 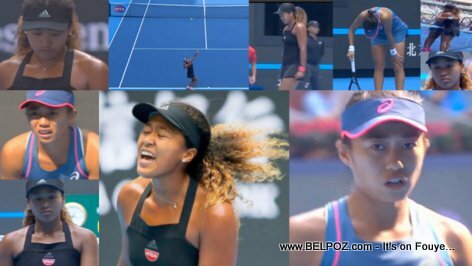 Here is a photo of Haitian-Japanese Naomi Osaka receiving medical treatment during a set break during her Tennis match against Anastasija Sevastova at the 2018 China Open Semifinals at the National Tennis Center in Beijing Saturday Oct 6 2018. 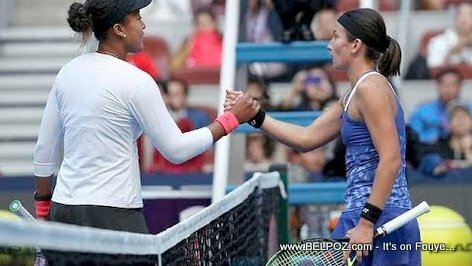 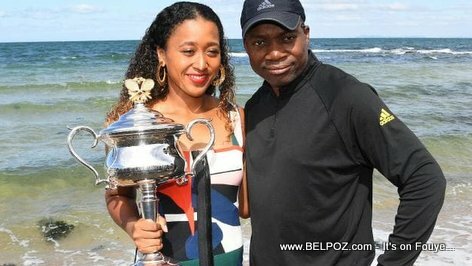 Here is a photo of Haitian-Japanese Naomi Osaka shaking hands with Anastasija Sevastova after loosing to her at the 2018 China Open Semifinals at the National Tennis Center in Beijing Saturday Oct 6 2018.